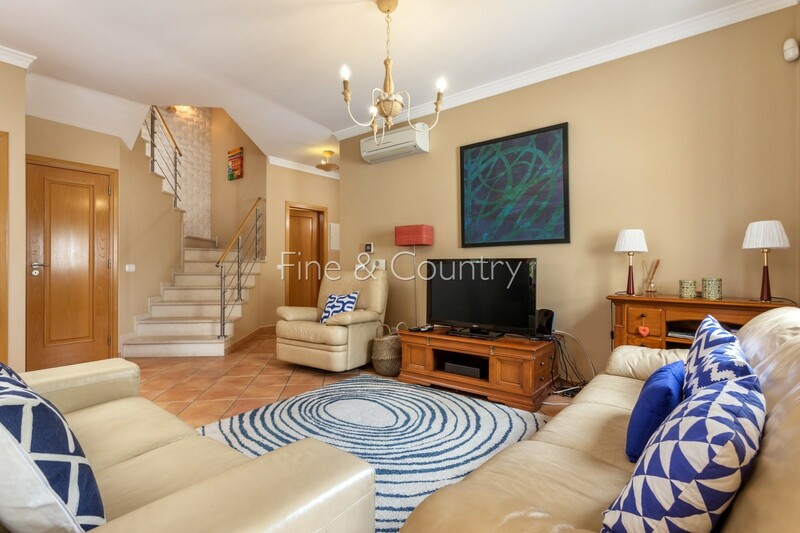 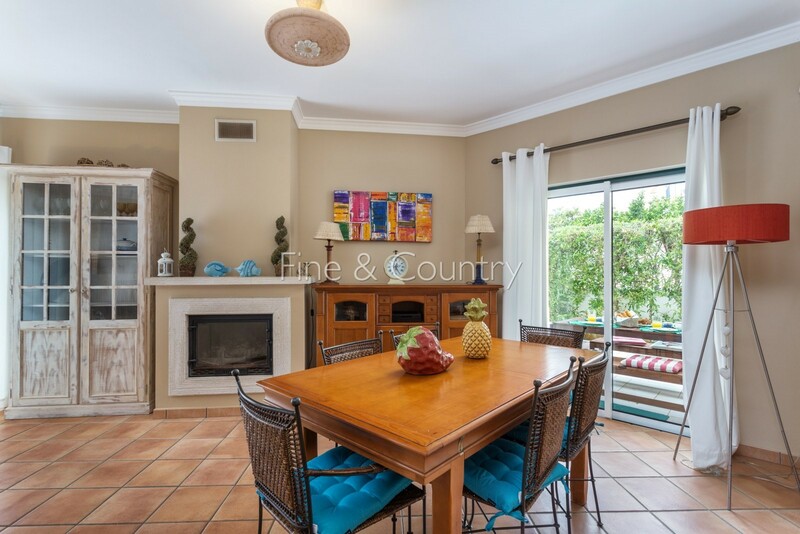 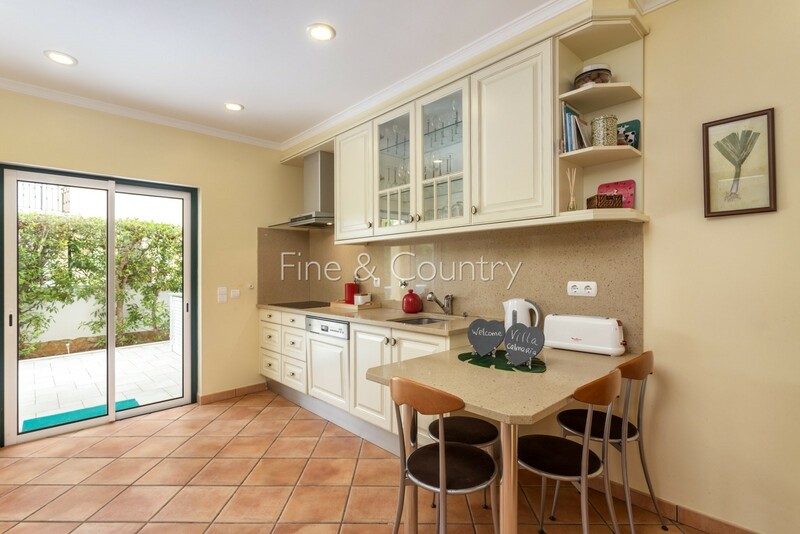 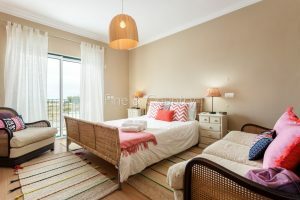 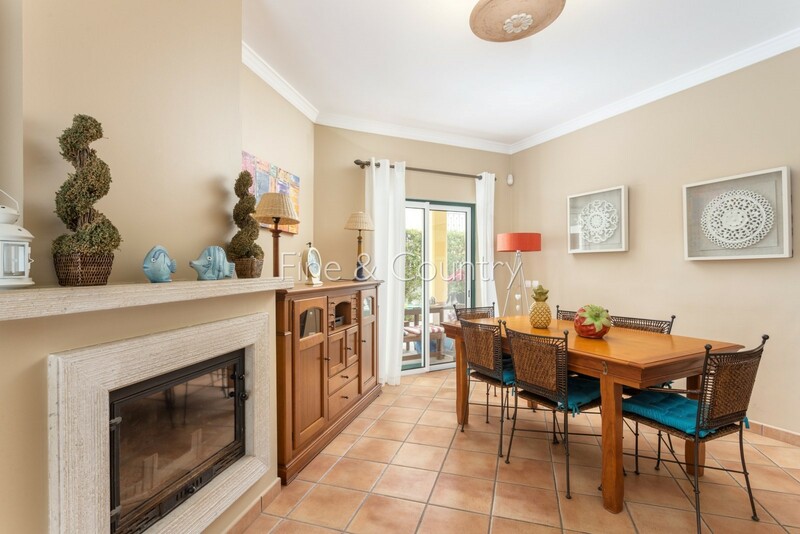 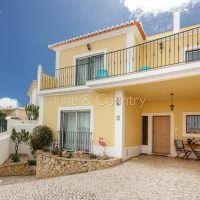 This 4-bedroom 281,16 m2 semi-detached villa on a 300 m2 plot is located in the fishing villa of Alvor in the quiet residential area Alto da Ria, just a five-minutes walk from the beach in Alvor and with wonderful lagoon and sea views from the ground floor. 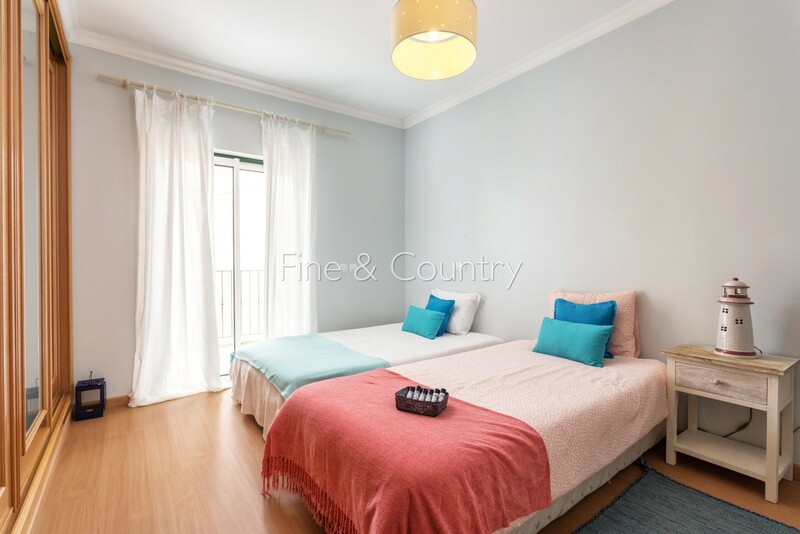 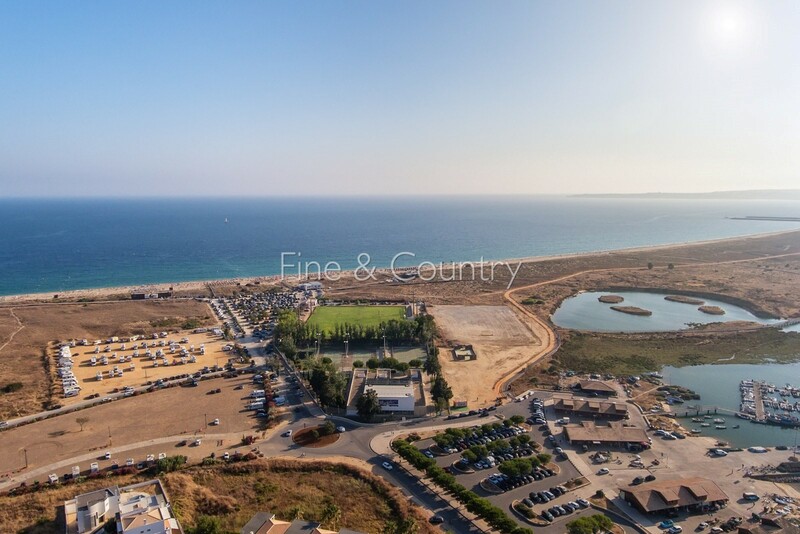 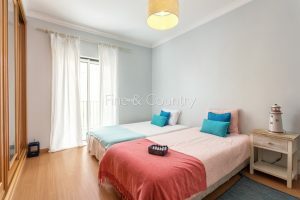 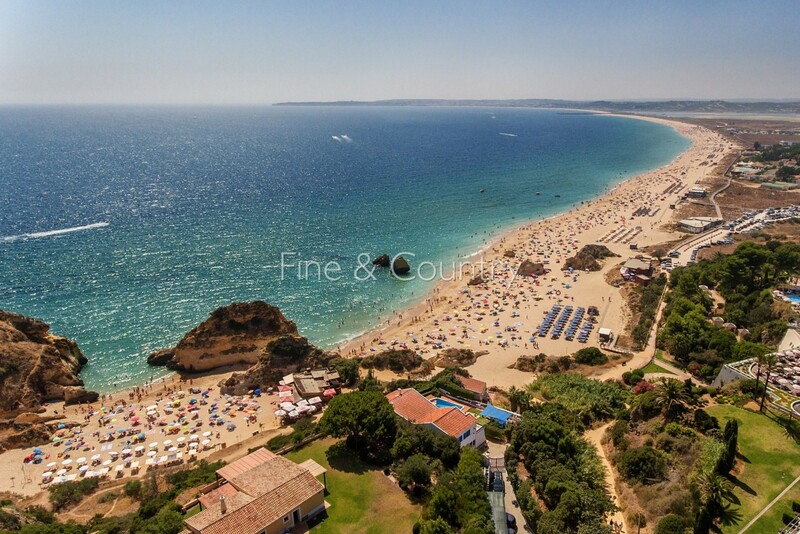 It´s just 8 km from the centre of Portimão, close to all amenities such as restaurants, bars and beaches. 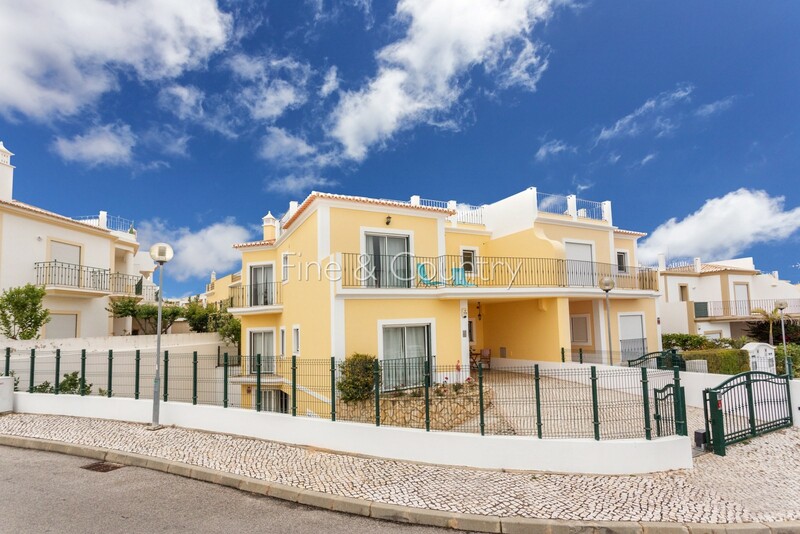 Faro airport is just a 50-minute drive away. 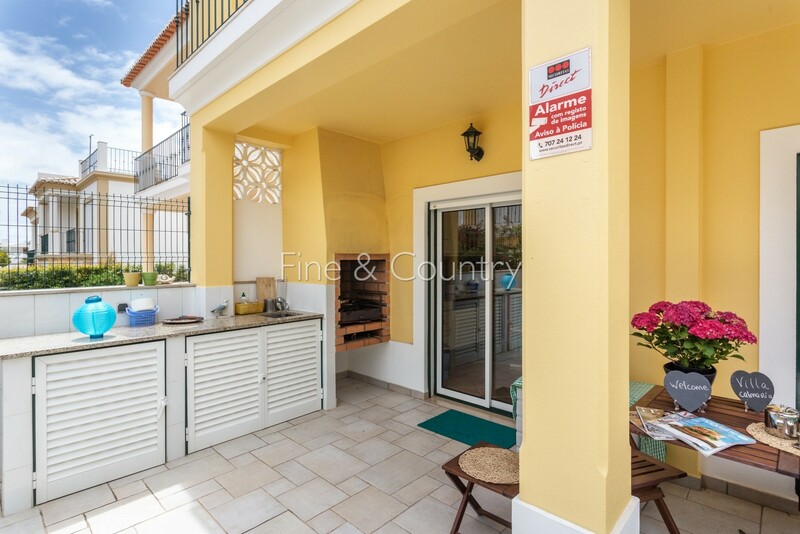 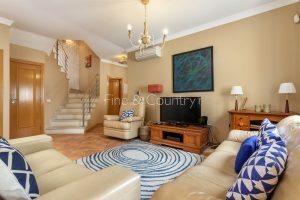 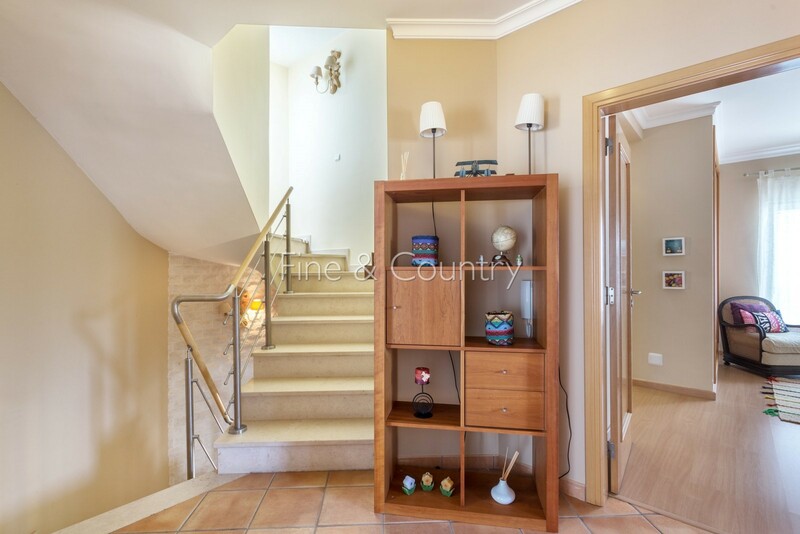 The entrance hall on the ground floor of the fully air-conditioned two-storey villa leads into the light and airy lounge/ dining area and the fully-equipped kitchen with DeDietrich appliances and a walk-in larder. Both rooms give access to a private terrace and the outside dining area, hosting a built-in BBQ, a sink a and the utility. While there are one en-suite bedroom and a guest-WC on the ground floor, there are three more bedrooms on the first floor, two of which share one family bathroom and a balcony. 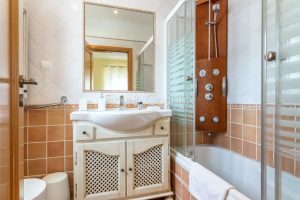 The master bedroom, however, is en-suite (equipped with hydro massage/ steam bath shower), has it´s own dressing area (3 x fitted wardrobes!) 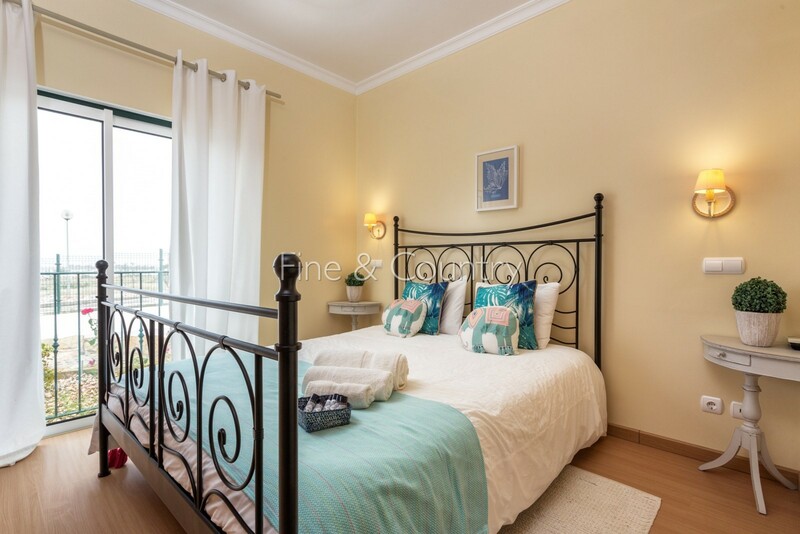 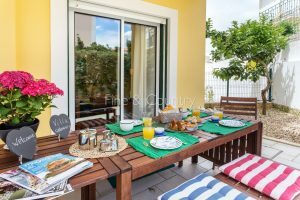 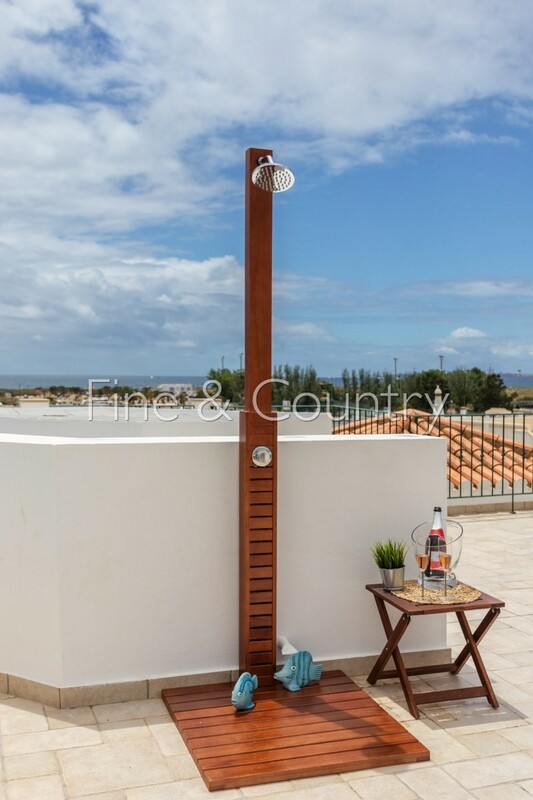 and access to a private terrace overlooking the beach of Alvor. 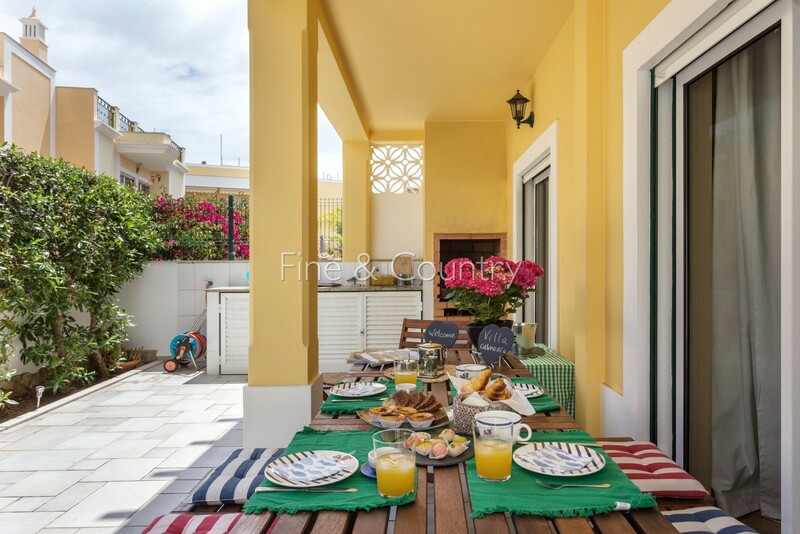 A staircase leads up to the roof terrace with even enhanced sea views. 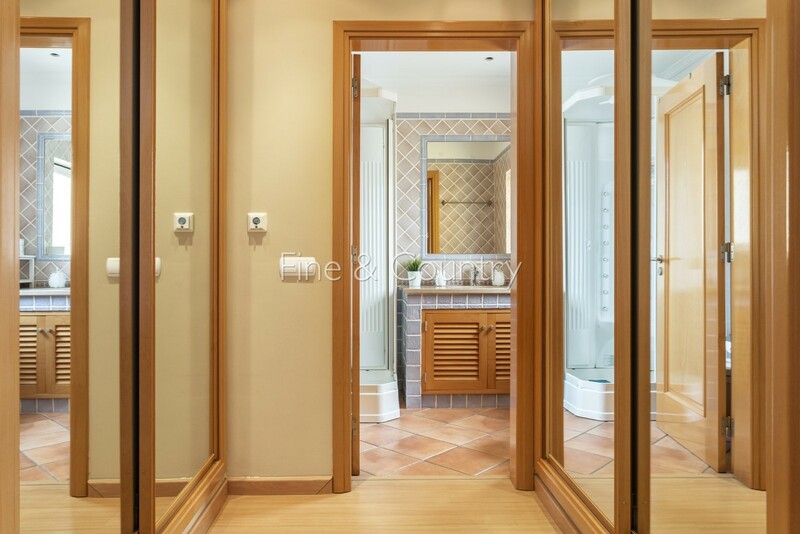 On the lower level of the villa (with internal access), there is a storage and the machine room with the electric storage water heater. 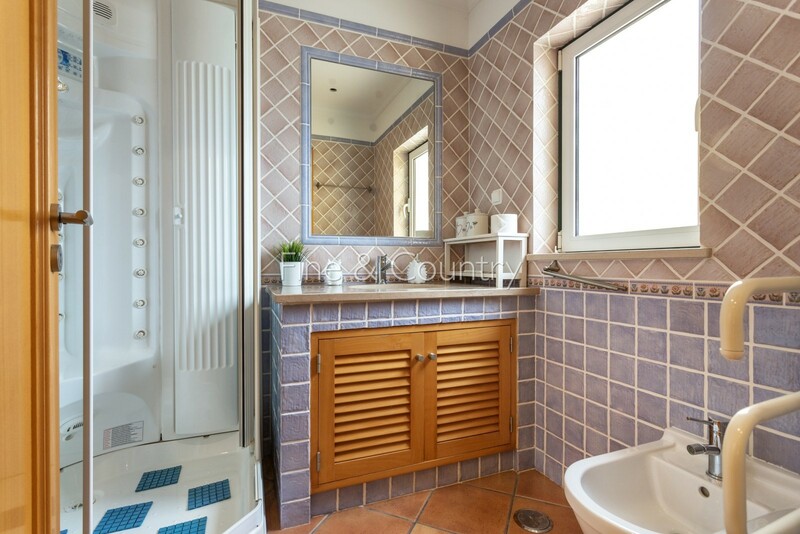 It used to be the garage and has been converted into further living space with a separate entrance door and comprises of an open-plan kitchenette/ lounge area, a bathroom and a bedroom with a fitted wardrobe. The villa is sold fully furnished and equipped. 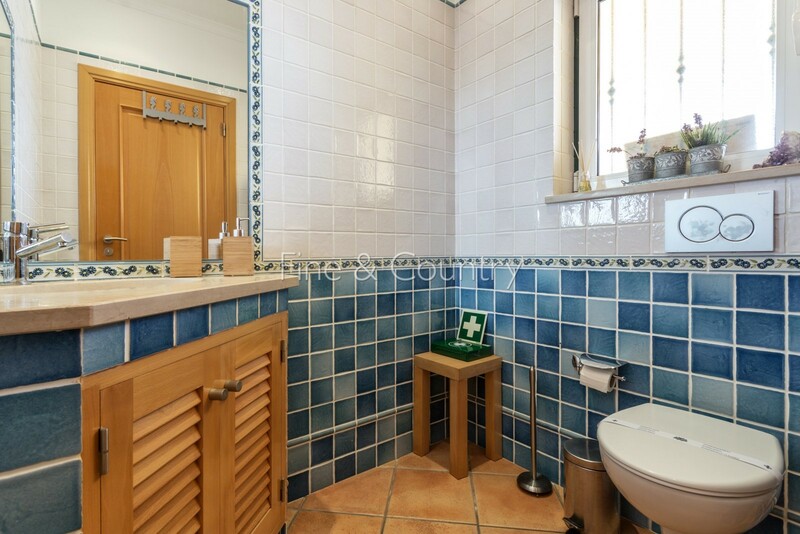 It has an excellent rental potential. Further features: White double-glazed PVC windows (green frames) + electric shutters + partial security bars, fully air-conditioned (except 1 bedroom 1st floor), UFH in the bathrooms, electric storage water heater (400 l), electric hob, log burning fire, tiled floor + laminate floor in the bedrooms, fitted wardrobes in the bedrooms, outside illumination, built-in BBQ, crack repair + painting outside (1 year ago), private parking (2 cars), private garden, sea views from the ground floor/ roof terrace, roof terrace with outside shower + prepared for whirlpool, hydro massage/ steam bath shower, lower level (ex-garage) converted in 1-bed apartment, satellite/ cable TV + WIFI, alarm system, AL-licence, mains water + sewage, electric entrance gate.